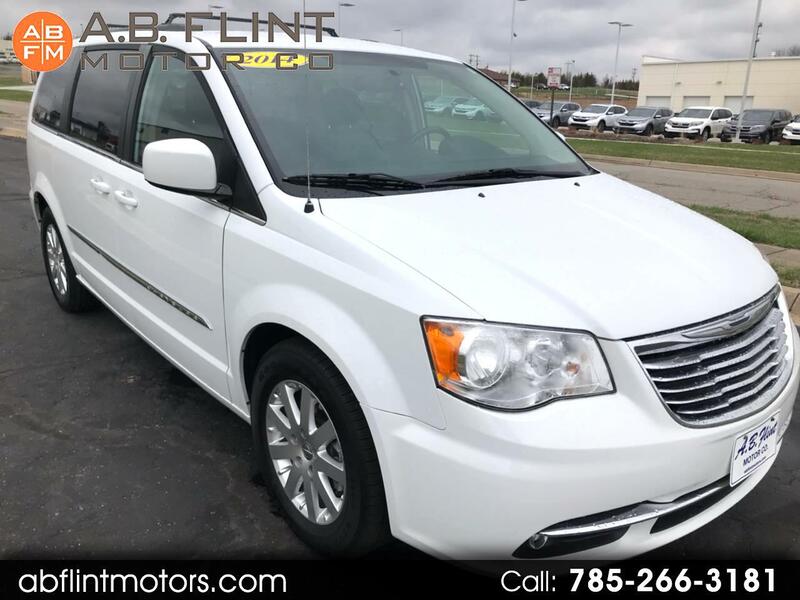 Used 2014 Chrysler Town & Country Touring for Sale in kansas city mo 64119 A B Flint Motor Co.
Loaded & Ready for delivery 2014 Chrysler Town & Country Touring Van with a complete DVD system Your kids will LOVE you!) Heated leather seats, power side doors and hatch plus plenty more. From top to bottom this Chrysler Touring van is beautiful, you will not be disappointed. The finely appointed plush leather interior is super clean and smoke-free as well as a exterior that shines with no dents, dings or scuffs. Complete with a clean/clear 2 owner title. Overall, if your looking for a great deal on a BEAUTIFUL Town & Country Touring van....Here's your chance!